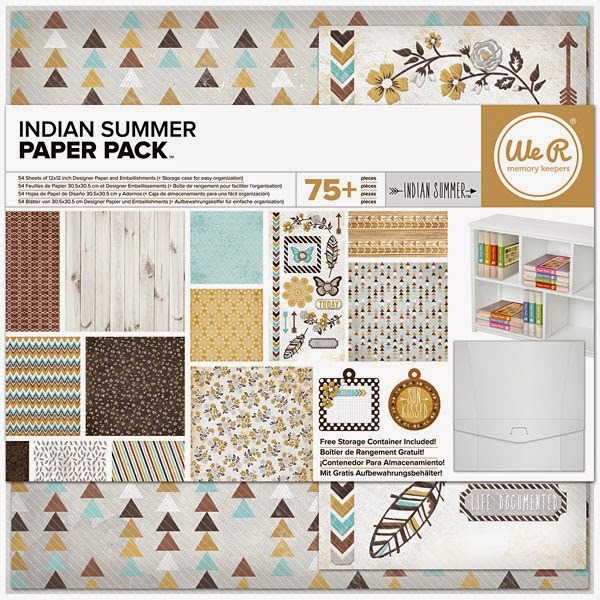 For this week for Project Life I choose the We R "Indian Summer" paper pack. I love the patterns and colors, not the mention the texture that is just... best! So in this pack not only do you get 4 of each double sided papers you get a sheet of stickers and 3 tags. Now I hardly ever use tags but I wanted to try to work one of them in to this week. Some of the photos from my phone I took for a dance in the Rhonna Design app . Those photos got a "chalk-board" frame and text in the same feel. The title card is made in this app with the same elements and I just love the way you can combine papers and digital elements to get a harmonious layout. For my journaling card (where the camera went to sleep) I cut a 4x6 piece and layered a yellow and the feather paper on top for more interest and a place for a title (the date) I then started to wright around the photo of Frasse & Sack. I love how it turned out. The seconed 3x4 card didn´t make it in the video either but it was really simple. The border is from the sticker sheet and I just lay down some masking tape to wright on.